CAD Software Blog: Free Upgrade to progeCAD 2011 Windows. CAD for MAC Released. Free Upgrade to progeCAD 2011 Windows. CAD for MAC Released. 25 May 2011 Sydney time - CADDIT has announced the upcoming release of progeCAD 2011 for June-July timeframe. As of 25 May 2011 Sydney timezone, all new licenses and upgrades purchased of progeCAD 2010 Professional for Microsoft Windows, including progeCAD USB, Network NLM and Office license options, will receive a free upgrade to the new version of progeCAD 2011 for Windows upon its release, at no additional charge. This offer also includes all users who upgrade progeCAD now from an older version or from another older CAD package. This promotion does not include progeCAD Standard, and will conclude at the announcement of progeCAD 2011 release. Over four years in development and planning, progeCAD 2011 for Windows is a largely re-written product from the ground up. progeCAD 2011 is a milestone release as regards compatibility to AutoCAD and other design products. progeCAD 2011 longer stores DWG/DXF using the old internal ITC database, rather is built directly on Teigha® DRX. This dramatically improves file performance (read/write speeds, etc). Although ITC SDS modules will still be supported for some time, progeCAD 2011 is the first generation offering developer access to a genuine DRX C++ API. progeCAD is a trusted name for many companies looking for reasonably-priced CAD software for working with AutoCAD DWG files, plan view drawing, fixture plumbing and electrical layout and other design work. A free download of progeCAD is available at this LINK. No AutoCAD LT for MAC? Try iCADMac from CADDIT. 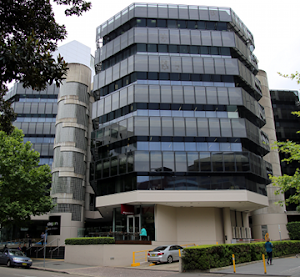 CADDIT has announce the availability of iCADMac in Australia and New Zealand. iCADMac is the low cost 2D/ 3D DWG and DXF CAD alternative for MAC users. 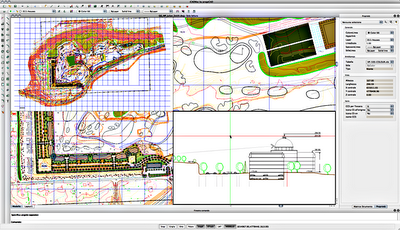 Concurrent with AutoCAD commands, iCADMac opens, saves and edits direct AutoCAD® native DWG files. It is a user friendly 2D/3D CAD software using a conventional-style OS/X interface. Due to iCADMac's high level of compatibility with AutoCAD it is ideal for design professionals like architects, commercial draftsmen, land and planning surveyors, structural detailing and building designers, kitchen and bath modelers, engineers and others who use Apple computers for their work. iCADmac offers features to make it a complete primary CAD package with hundreds of commands for 2D design and 3D modeling. These features include full geometry set of lines, arcs, splines, text, dimensions, hatches and other entities. PDF import and export makes data exchange with graphic artists easier. Tables and cells can be used for bills of materials, component lists, revisions and text to organize and manage information within your drawings. iCADMac can insert, edit and clip Raster images (scanned images, photos, images from the Internet, etc.). in a drawing; iCADMac supports jpeg, bmp, gif, and png image formats with added support for polygonal image cropping. ACIS 3D solids support allows for the direct construction of complex 3D models in your CAD drawing. The newly updated iCADMac 26 April release now includes iCADlib (the new CAD block library with 20,000 blocks), Traceparts access, and several fixes related to printing and file access. MAC users can sign up for a free 30 day full-function iCADMac demo at this LINK. Micrsoft Windows users should consider downloading progeCAD instead. iCADMac pricing is available from CADDIT.net. Due to last-minute API issues between ODA's Teigha 3 API and IntelliCAD 7.0, progeCAD 2011 will still be IntelliCAD 6 based with some improvements. progeCAD 2012 is planned to be IntelliCAD 7 based.